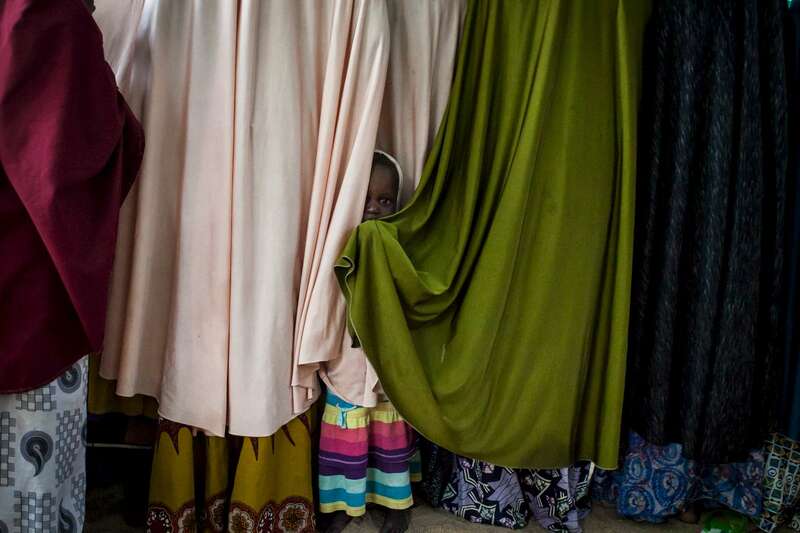 A young girl, whose mother was married to a Boko Haram commander, hides behind chadors at a detention center in Maiduguri, Nigeria on Thursday, June 16, 2016. The Nigerian military has detained hundreds of people, many are women and children, during their campaign against Boko Haram. Many innocent people have died while in custody while others are never heard from again.